I first became obsessed with Handy Nasty (yes, I said it, Handy Nasty) during a weekend trip to Philly. 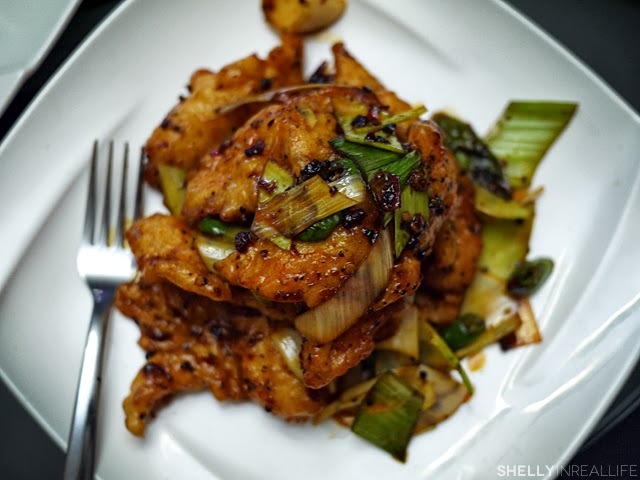 I know I did quite a few of reviews on cheesesteak comparisons and other food related posts, however one of my biggest regrets was not blogging about Han Dynasty. As I waited about 45 minutes for a table during my visit, my hunger took over my blogging sensibilities and I didn't document. "How good can this be anyway? Blog worthy? Naww...", I thought. As it turns out, I was 100% wrong, and the food was HELLA FREAKING GOOD! Han Dynasty is the one place I tell EVERYONE about when they ask me where they should eat in Philly. 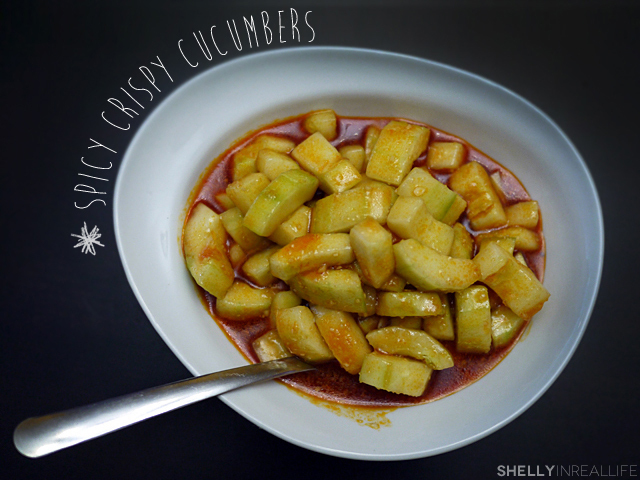 What I continue to dream about is their Spicy Crispy Cucumber Salad ($6.95): a cool, spicy and garlicky cucumber salad that's both sweet and savory. It's pure perfection plus a bunch of MSG probably. That sauce the cucumbers sit in must be some type of liquid crack. You dip anything in it, and it will make it taste delicious. In fact, this sauce is SO good, I've been told by the waiters that they never clear the dish from the table, even if all the cucumbers are gone because everyone loves to put this sauce on everything else they're eating. The memory of this awesome salad would taunt me for over a year. I kept wanting to go back to Philly for more. So, imagine my excitement when I got word a few months ago from the food blogging world that Handy Nasty was opening a location in Manhattan!?! After stalking the opening of this restaurant the whole summer, I finally had a chance to visit a few days ago. My first impression of their East Village location versus one of their Philly locations was that the NY location seems a lot more like just any other Chinese restaurant, unlike their modern and chic location in University City in Philly. I was also a tad disappointed that the restaurant looked pretty small, which means that once this place gets discovered by other New Yorkers, the wait times are going to be out of control. Even with 4 restaurants total in Philly, the Philly location I visited had a 45 minute wait time without a reservation, so imagine what will Manhattan be like eventually. But enough about the boring stuff- you're probably wondering how the meal stacked up to the memory. Last Saturday, I dragged 5 other friends to dine with me and everyone at the table agrees, Han Dynasty is a clear winner. 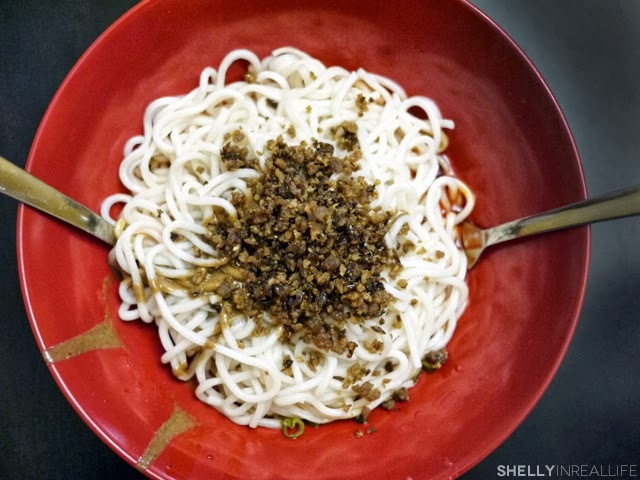 Dan Dan Noodles, or 擔擔麵, a noodle dish that's topped with bits of minced pork, some preserved veggies, scallions that sits on top of a spicy sauce made with Sichuan peppers and sesame (and/or peanut) paste. 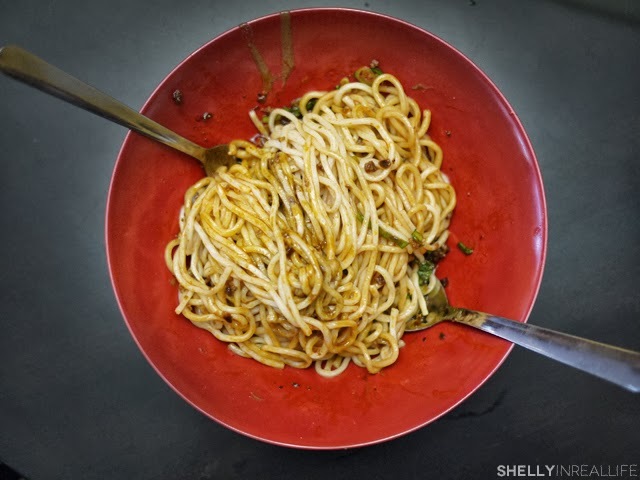 The noodles come out with the different components sitting separately, and as the waiter brings it to your table, the dan dan noodles is tossed into a dish that will make you think of a Chinese version of spaghetti with meat sauce. Except Dan Dan Noodles is so much better. 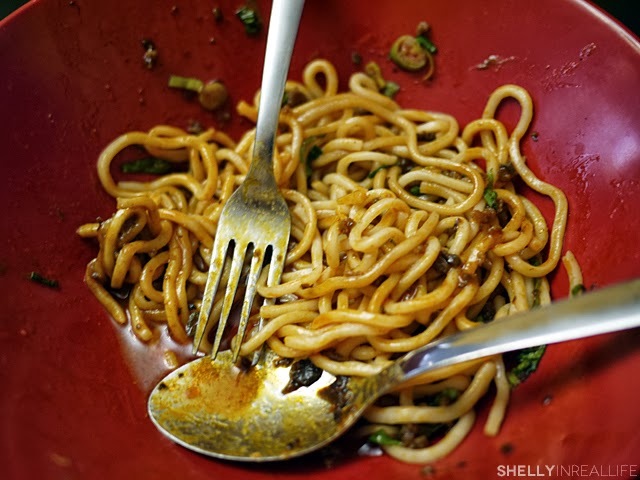 I love that as you take more and more bites of the noodles, the spiciness of the sauce slowly builds in flavor in your mouth. It is one of their most popular dishes, so you really must try it if you've never had it before. An order of Dan Dan Noodles will set you back a mere $7.95. One bowl of these noodles is good enough to have by yourself as a meal. However, where's the fun in that? Don't you want to try other dishes with your buddies and share the yummy variety? So in addition to our 2 orders of Dan Dan Noodles, our group of 6 ordered a few more things. 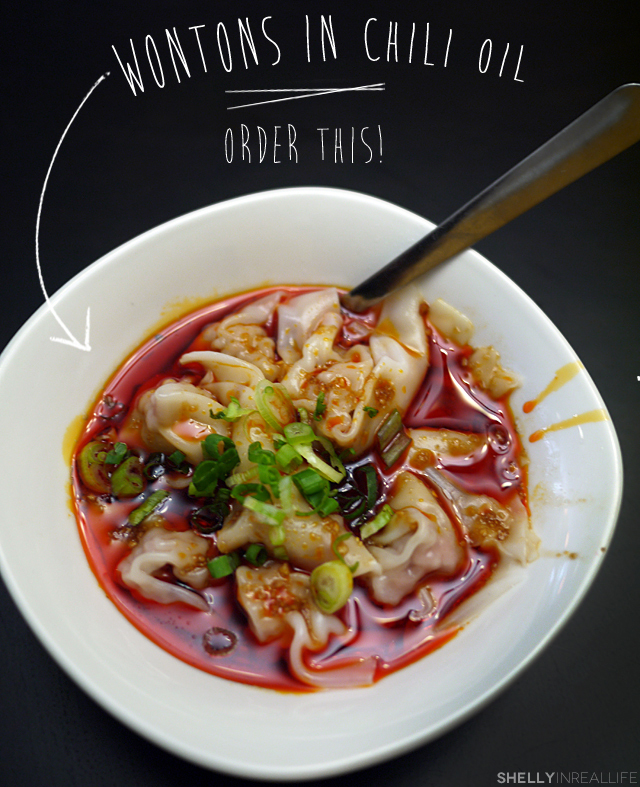 One of the dishes that surprised me the most was the Wontons in Chili Oil ($6.95) since when I first looked at pictures, it looked like it sounded - wontons just covered in chili oil. It didn't really sound appealing to me until I gave it a chance and took my first bite. The wontons were perfectly cooked - the skin wasn't too soft or too firm - and the chili oil didn't completely coat the wonton as I expected. In fact, it gave it just enough of a kick. I'd easily order this again. Another appetizer we got was the Pork Belly w/ Sweet Garlic Chili Oil Sauce ($9.95). The preparation of this pork belly dish is unlike what you normally expect at a Chinese restaurant. Instead of it being served stewed as a huge chunk, the pork belly in this dish is thinly sliced, shabu shabu style. This acted as a great medium to hold the sweet garlic chili sauce it came drenched in. The scallions that topped it helped add a bit of freshness to the dish. Love. In comparison to the previous 4 dishes, the Beef & Tripe in Chili Oil ($9.95) is less of a standout dish to me. 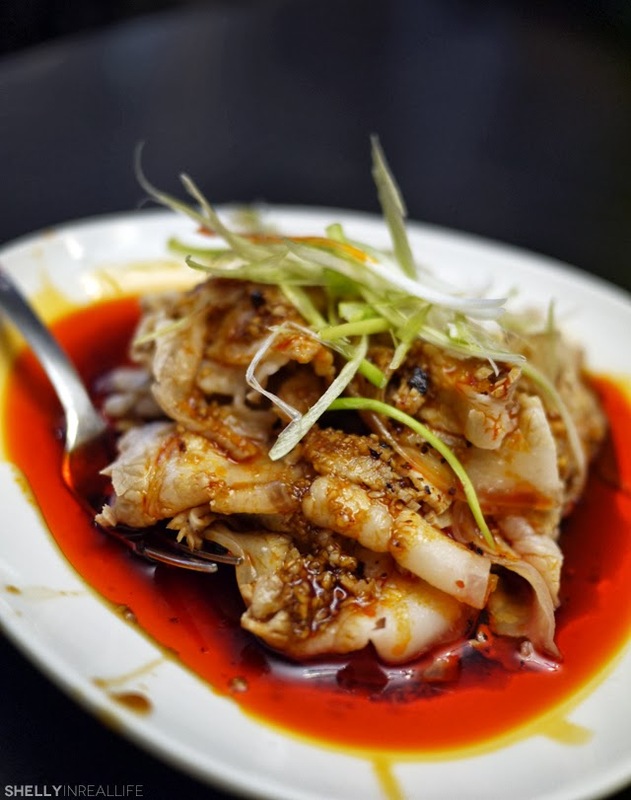 This is actually listed as the spiciest dish on the menu with a level 10 of spiciness, and is one of the more traditional dishes in Sichuan food. The texture of the beef was a tad tougher than I would like, but both the beef and the tripe acted as a great vehicle for all of us to test our spicy meters. Unlike the unpleasantly spiciness of Mission Chinese, the spiciness here slowly crept up on you. 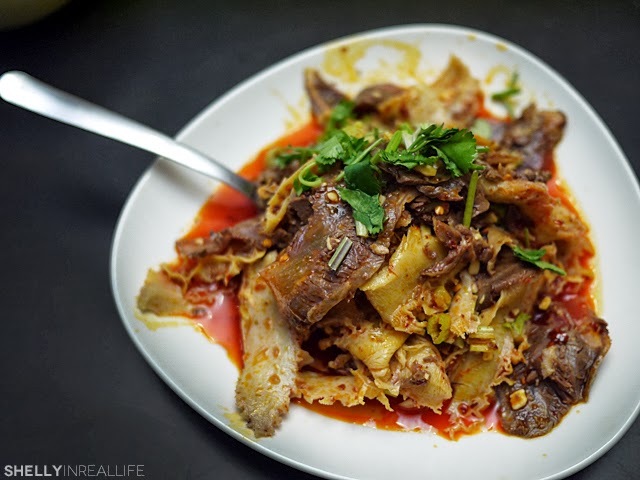 On the first bite, you know the dish is a bit spicy, however, as you finish tasting the flavors of the meat itself, what you're left with is a slight numbness in your mouth that Sichuan food is known for. This way, you're allowed to first taste your food, then feel the burn. It was executed perfectly here. 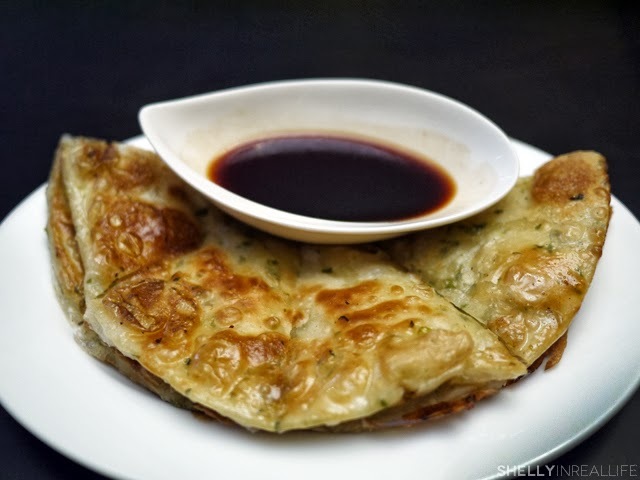 Another dish I found less exceptional, but still tasty was the Scallion Pancake ($3.95) which came with a black vinegar sauce. It was thin enough so that every bite is crunchy and not doughy - so it was well done. Just not my favorite thing here. However, keep in mind this is a non-spicy item on the menu, so it might be a good way to cool your mouth down. Also it tastes excellent dipped in sauce leftover from the cucumber. Finally, stepping away from the appetizers, we ordered only one of the entrees on the menu - the Double Cooked Style Fish ($17.95). We picked this dish because it was another one of my favorite dishes that I recall from my meal in Philly. The fish here is perfectly fried, not too greasy, but perfectly fried with a flour coating to make the outside crunchy and the inside cooked just right. Here, it's cooked with black beans, leeks hot peppers, and chili oil (duh). 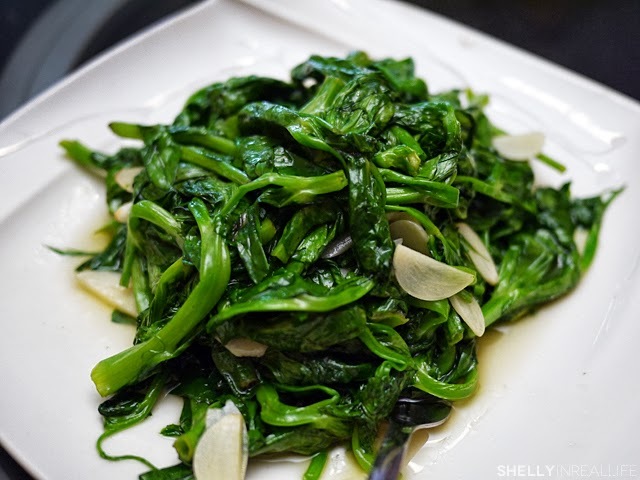 Since everything we ate up until this moment involved heaps and heaps of oil, I'm happy to say that we DID get some greens in our system with this Pea Leaves w/ Garlic ($12.95). What can I say? This was stir-fried perfectly with just the right amount of garlic. A staple whenever I go out for Chinese food. By the end of this meal, everyone was more than satisfied with all the dishes we ordered. However, as if eating at Han Dynasty wasn't exciting enough for me, our meal was made even better as we had time to get to know the owner of this awesome restaurant, Han Chiang. Since I was stalking the opening of Handy Nasty all summer long, I've read quite a few things about Han's temperament and his ridiculousness such as free noodles for anyone who comes into his Philly locations with a parking ticket (funny enough, after our meal at Han Dynasty in Philly, we received a hefty parking ticket too, grrr PPA!). His reputation was living up to its name in NY as one of the first Yelp reviews during its soft opening was about Han's personality - the Yelper gave it a 1*. Anyway, knowing all this, I was interested to meet the man and make up my own mind about him. 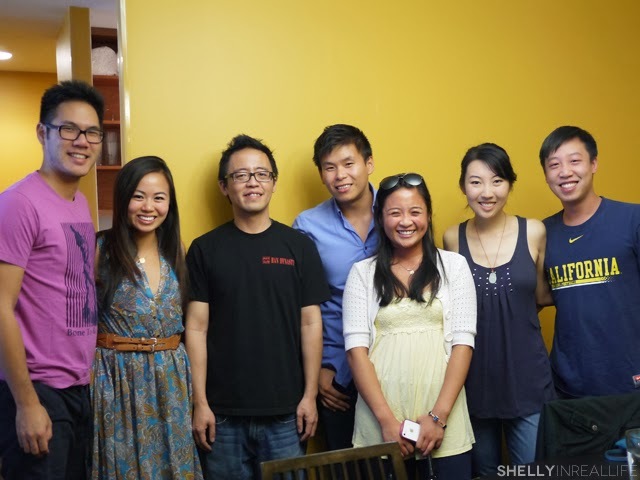 All of us with Han (in the black shirt)! 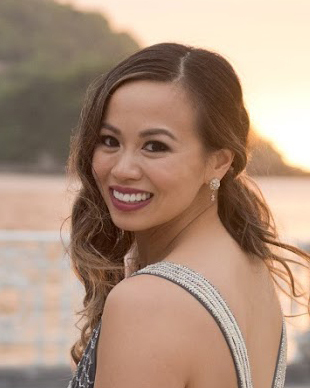 As it turns out, Han was very hospitable to us, as foul-mouth as he might have been, he reminded me of a crazy cousin who you'd look forward to having family dinners with, because you can't wait to hear some of the hilarious things he might say. During our meal, he made sure to come to us several times to chat with us, telling us about how Han Dynasty came to be (he was a college dropout with little future, but a passion for food helped him start this place), a history lesson behind the Beef and Tripe dish we ordered (read about it here), and he even mentioned how he got a 1* review on Yelp because the group of guests who came to eat didn't understand the concept of the restaurant in which most of the time, everyone shares and dishes come out as it comes out of the kitchen. "Chinese food is 'family style.' One should balance out the meal with a variety of dishes to share." Coming from a Chinese family, I'm all about sharing food with others. As Han explains it, it's like buying one dish and getting five others for free. Now who doesn't love that? I just have to say, thanks so much Han for being such a great host to us and also for bringing Han Dynasty to Manhattan. I'm already counting down to the next time I come back to Handy Nasty. You will bet I will bring many others, and we shall all share our dishes.